Calphalon 12-Inch Pan With Cover Just $27.67! Down From $70! PLUS FREE Shipping! You are here: Home / Great Deals / Amazon Deals / Calphalon 12-Inch Pan With Cover Just $27.67! Down From $70! PLUS FREE Shipping! At Amazon, you can score this Calphalon 12-Inch Nonstick Pan With Cover for just $27.67 down from $69.99 PLUS FREE shipping! Designed for reliable everyday cooking, the Calphalon Classic Nonstick 12-inch All Purpose Pan with Cover is constructed from durable hard-anodized aluminum for fast and even heating, with a dual-layer nonstick interior for easy food release and cleanup. 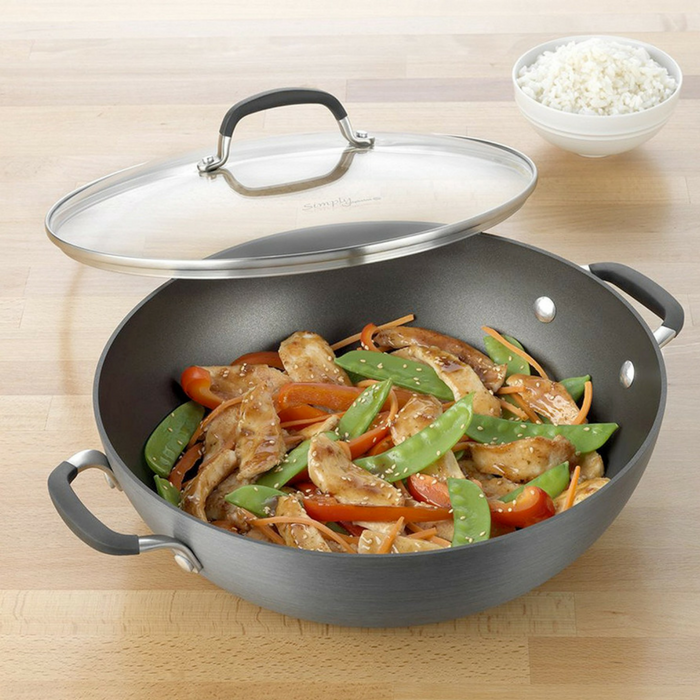 This pan features a versatile shape and size, so you can use it to fry, sauté, stir-fry, and more. The Calphalon Classic Nonstick 12-inch All Purpose Pan with Cover is oven safe up to 450 degrees Fahrenheit and backed by a full lifetime warranty.